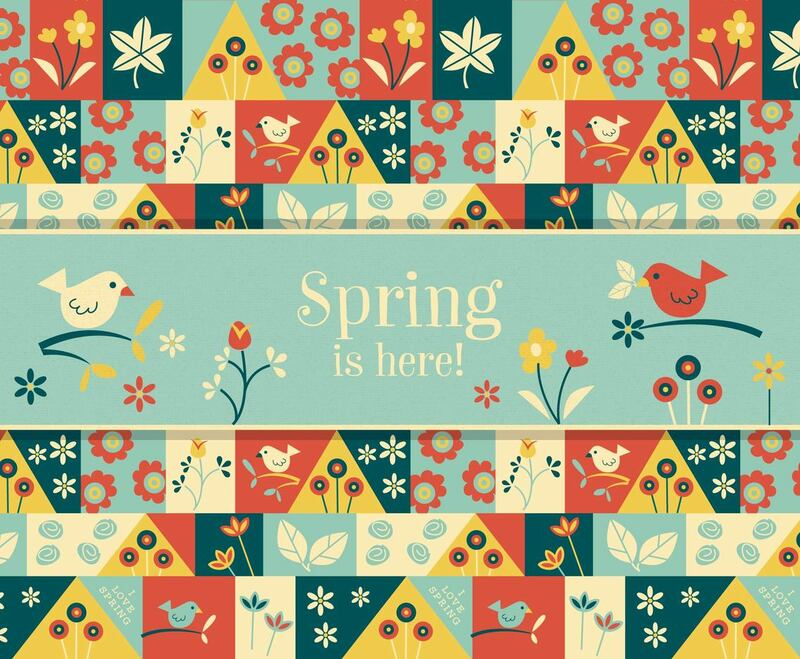 Cute spring seamless vector background made with birds, flowers and leaves. With space for text on banner and spring elements. Used cute spring pattern swatch included in file for easy editing.